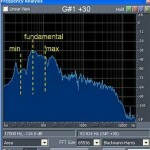 A center frequency is a frequency where maximum amplitude occurs. In layman term, it is a frequency most noticeable by the ear of that instrument. Let say voice frequencies. It is around 300Hz to 3000Hz that is wide range, but that is the bandwidth of a telephone line. It is why the telephone lines are optimized for voice transmission. 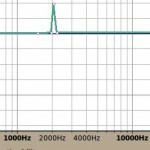 The center frequencies of that bandwidth are around 1650Hz~2000Hz. It is where the voice frequency is strongest. And during a mixing process, that certain spot in frequency range is reserved for the voice to avoid conflict with other instruments. 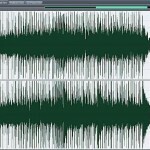 Also take note the amplitude adjustment in parametric equalizer are measured in dB (decibels). Purpose- Boosting at 75Hz creates super-punch for the kick. 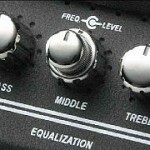 Cutting at 400Hz can prevent conflict guitar lower bass and improves kick sound by removing the cardboard like sound. 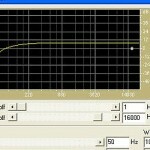 Boosting at 4000Hz can make the kick sound to be heard on small speakers such as headphones.